This evening for Family Night I fixed Salad, Beef Noodle Soup and Green Beans. Everyone seemed to like my new kitchen table from IKEA. 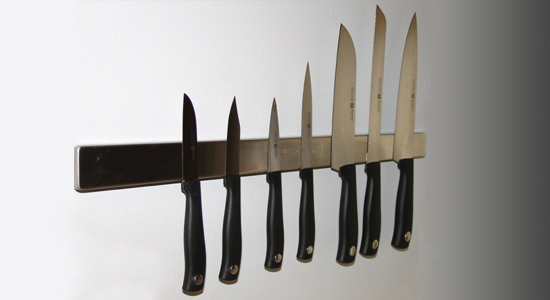 The big question of the night was, where should I hang up the new knife rack? It seemed to me that every place It could go was in the way of something else or there wasn't quite enough space to fit the rack. Mom, Crissy, Derek and Sarah all offered their suggestions. After a lengthy talk I decided to hang it between the stove and refrigerator. Once everyone had gone home for the evening, I borrowed dad's drill and hung the rack into place. After all of this, I think it's going to work out fine.